If there was a “Godfather of Vandwelling”, Bob Wells would be it. 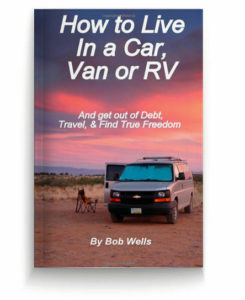 As the author of the information-soaked CheapRVLiving.com, Bob takes the reader through all parts of the lifestyle and offers practical tips and insights for both new and seasoned vandwellers alike. 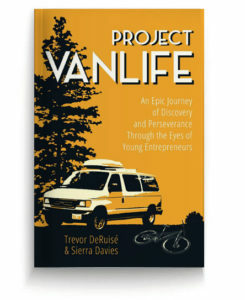 This van life book is an excellent introduction to get inspired, break free of stationary housing, and start LIVING! 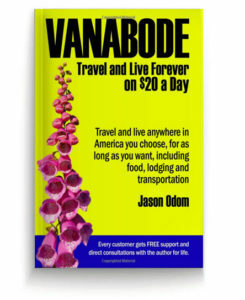 Drawing on an extensive background of experience, Jason Odom leaves no stone unturned in Vanabode, one of the most popular books on living in a van, car, or RV. It’s an excellent walkthrough of the skills and mindset required to begin living in your car, as well as what’s required for day-to-day budget living – such as laundry, making a living on the road, safety, and knowledgable resources. Expand your mind (and your wallet) as you take off in your own Van-abode! 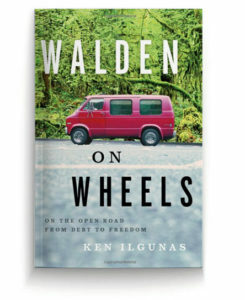 This is a vandwelling novel, written from the perspective of the author, Ken Ilgunas. It’s very true to life, and offers much more of a “story”, while still packed with useful information and solutions to daily vandwelling problems. Follow along as Ken begins to realize the amount of financial debt he’s in, and the steps he takes to get back on track, gain a positive outlook, and embark on a life-changing adventure. balancing their travels, entrepreneurial endeavors, and growing relationship. If you’re planning on living in a van with a significant other, or your van adventure is going to be a limited amount of time (a super-roadtrip), this story will suit you well. When we left on our trip, we had most of our campgrounds planned out, and made reservations at some ahead of time. But if you’re vandwelling full-time, or your plans simply don’t work out, you’ll want this guide to the some of the most reasonable U.S. campgrounds. 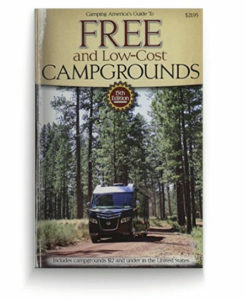 We were often greeted with overnight fees over $30 in popular state parks, but all of the sites listed in this book are below $15. This van life book will pay for itself after the first use, and will come in extra handy when you’re away from cell service or wifi! ← WATCH: Dodge and weave!